Want to study abroad? All the information you need might just might one click away on Google, but another option to gain in-depth information is to attend an education fair. Wittenborg University of Applied Sciences participates in several fairs in the Netherlands throughout the year, but also around the world. The next one will be the StudyExpo Fair in Istanbul this weekend on 17 and 18 November 2019, before it moves to Ankara, also in Turkey, on 20 November. Wittenborg will be represented at both fairs by Sinan Çölaşan, one of its current MSc students, who is also Turkish. So what makes attending one of these education fairs worth your while? Well, for starters you can talk to university delegates of different universities from different countries. The fair gives you the opportunity to ask them questions in person. They will know the details about the admission procedures, eligibility criteria, fee structure, scholarship opportunities and the like. Another benefit is that students can hear first-hand about any scholarships the applicant might be eligible for and find out if their academic profile matches the necessary requirements. University representatives will also be able to help you with your application procedure or share valuable information about the Dutch visa procedure. 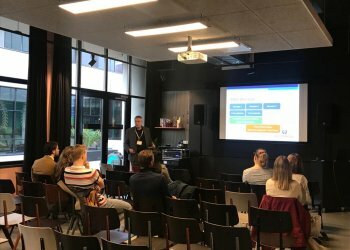 The past week Wittenborg has attended the Masterbeurs Fair in Amsterdam where Wittenborg’s chair of the executive board, Peter Birdsall, gave a talk to students sharing information on its 4 international MSc programmes offered jointly by the University of Brighton in the UK, its new MA in Education MBA programmes which has 6 entry dates per year. About 15 institutions participated in the fair with about 500 prospective students attending. This week Wittenborg also participated in the NXTLVL Apeldoorn Fair on Tuesday and Wednesday. Almost 10 000 students registered for this event. Wittenborg senior admission officer, Florian Oosterberg, was in Vietnam the past three weeks where she attended Nuffic’s Dutch Placement Days in Hoi Chi Minh City and Hanoi as well as meeting education agents in the country. The past year Wittenborg has also participated in fairs in Russia, Ukraine, London and Austria. In the Netherlands there are annual fairs in Zwolle, Eindhoven, Rotterdam, Amsterdam, Apeldoorn and Utrecht, among other cities.